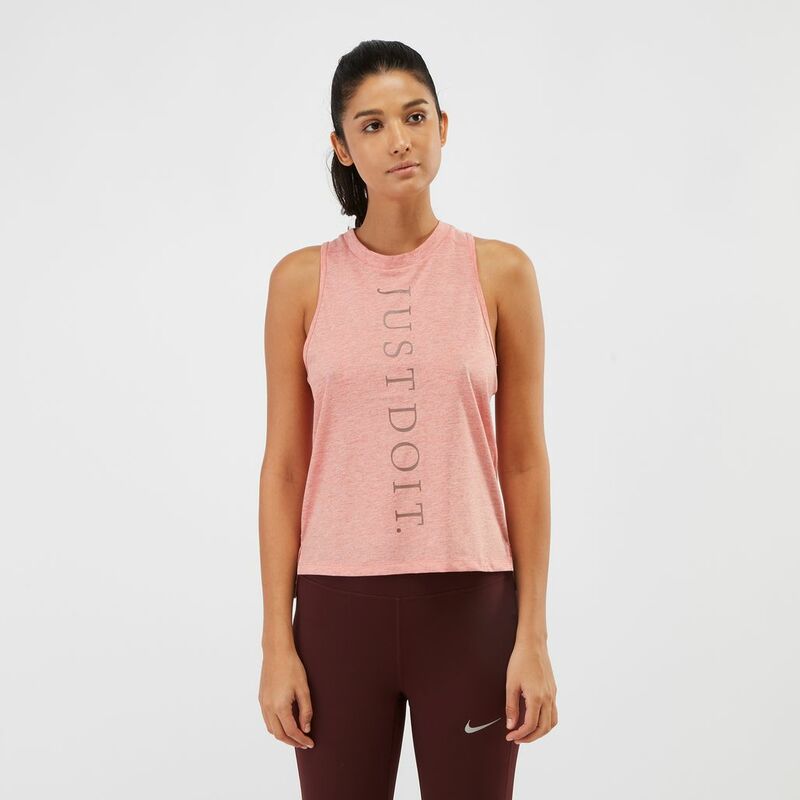 Motivate yourself to go that extra mile with the Nike Miler JDI Running Tank Top for women. Instantly giving you more mobility with the racerback design, the quick-drying fabric also keeps you cool while you work hard. 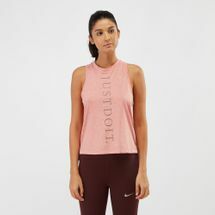 To top it all off, the "Just Do It" slogan features at the front to show others you're serious about your running game!